CALLING FOR THE BEST SCHOOL KINDNESS PROJECTS! Start planning your competition submissions today. Deadline for submissions has been extended to MARCH 15. Winning schools will get up to RM1,000 each in grant funding to make their ideas a reality! Selected participants will get a visit from our #StandTogether celebrity ambassadors at their schools during National Kindness Week (April 1-5). A feature article in The Star and the title of “Malaysia’s Kindest School “. The winning schools MUST implement their Kindness Projects in order to receive certificates – and the chance to win the title of “Malaysia’s Kindest School”. But even if you don’t win, why not implement your Kindness Project anyway? Register via U-Report on WhatsApp! 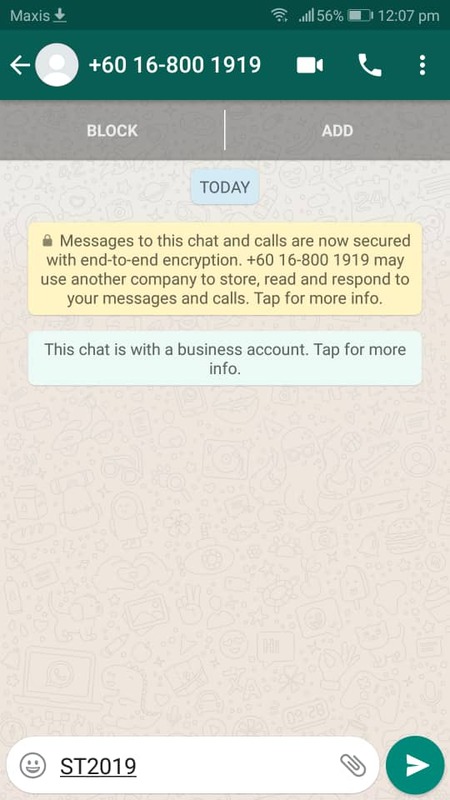 You will be automatically redirected to WhatsApp on your phone and WhatsApp Web on your desktop. The keyword ST2019 will appear on your chat, press send and you can start chatting with U-Report. Register for the competition by typing “A” and pressing send. You will be instructed to download the school permission letter. Scroll down for more information on that. Download this permission letter, fill it up, and get your school principal and parents to sign it. 1. You can easily print the picture of your permission letter by logging on to Whatsapp Web, downloading it on your computer, printing it. 2. You can also save the photo on your phone, email it to yourself, and then print it on a computer. Based on the submission questions, think of an awesome idea to encourage kindness in your school! Briefly describe your Kindness Project idea. How will you ensure your Kindness Project continues to have an impact throughout the year? What impact or results do you want your Kindness Project to have in your school or community? 4. What are the activities? 5. How it will be used? Tell us how the RM1,000 cash grant will be used? Your ideas need to be described clearly, in a way your friends and our judges can easily understand. Great ideas are just simple enough to catch on, and that’s what we want from you. Show us your ideas are practical and can be executed within the budget of RM1,000. Convince us you can make your ideas work! Tell us the story of your school, and why is it important to you to run your activity/campaign there. Give us an idea of what things are like in your school! At the end of the day, we want ideas that can make a difference in schools. Show us how yours can! 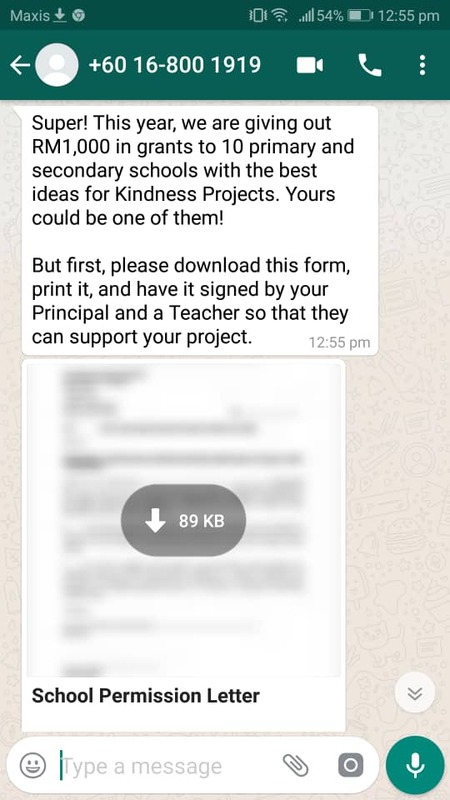 When you have planned out your kindness project and are ready to submit it, click the submission link below, send in your permission letter through the chat and answer the submission questions. ARE YOU READY TO SUBMIT YOUR PROJECT IDEAS? 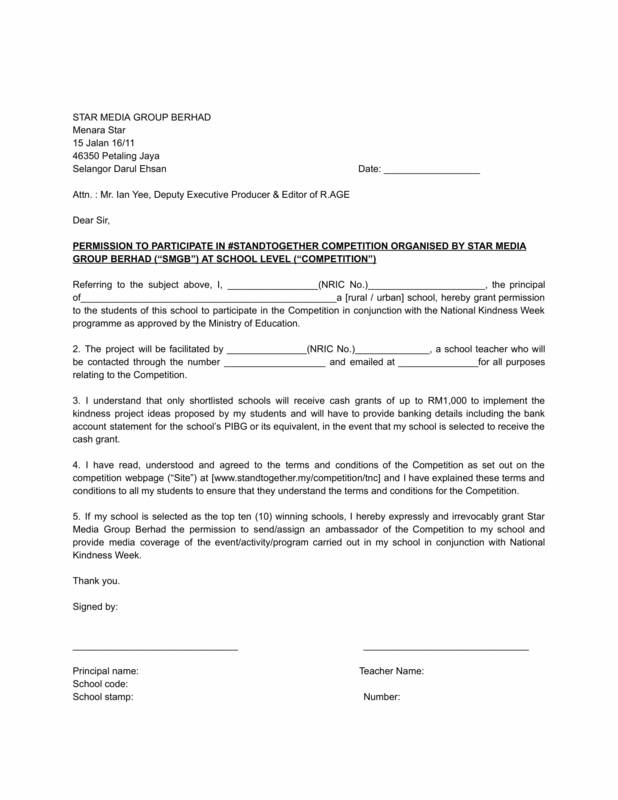 Can a school send in multiple entries? Yes! Schools can send an unlimited number of entries, but there can only be one winner per school. Can we submit entries as a group of students? Yes! You can take part in the competition as an individual, a class, a school society, Badan Beruniform, or just a group of friends who want to make the school a kinder place, as long as one group does not exceed 40 students. First, download our 2019 Competition Kit to receive the school permission letter, the questions and discuss your ideas with your group. Then when you are ready, get your teacher-advisor to click the submission button below and enter your answers into our system. Your ideas will automatically be sent to us! How does the submission system work? Our U-report automatic submission system is provided to us by our Unicef Malaysia program partners. The system will automatically open Whatsapp or Whatsapp Web, all your teacher-advisor has to do is press send and it will immediately ask you a series of questions, which are included in your Competition Kit. All you have to do is type in your answers and we will immediately receive them! What is the difference between the kindness project category and the other categories? Will I have to compete against secondary school students? Don’t worry! Primary and secondary school submissions will be judged separately. Prizes will be awarded to top primary and secondary schools. There is plenty to go around. Do we have to pay to take part in the competition? Not at all! Participation is completely free. All you have to do is download the Kindness Kit, the forms are inside. Who are the #StandTogether celebrity ambassadors? We have a growing list of celebrities that include Lisa Surihani, JinnyBoyTV, Arwind Kumar and Ann Osman! You can check them out in our videos. March 8, 2019. So hurry! Do I have to implement my idea even if I don’t get selected? Yes, we strongly encourage you to do this. The goal of the #StandTogether Competition is to get students like you involved in changing the environment of schools across the nation. So get involved!